Gustave Mahler (1860 – 1911) composed Das Lied von der Erde in 1908/9 shortly after reading Hans Bethge’s (1876 – 1946) collection of Chinese poems titled Die chinesische Flöte (The Chinese Flute; published in the fall of 1907 with an astounding first printing of 100,000 copies). Mahler uses several of the poems from this collection with additions of his own. Each of the six movements is a superbly orchestrated poem. These poems gave him relief from the very difficult period of his life he had just gone through. Mahler and others considered this amazing work to be his most personal statement. Because of my love of Chinese history and culture, I will give a brief but well annotated list of the sources of the poems Mahler used. All the poets whose German language translations Mahler uses are from the Tang Dynasty 唐朝 (618 – 907). This dynasty is often considered the high point of Chinese culture. Its capital Chang’an 長安 (enduring peace) (essentially the modern city of Xian 西安 (western peace) (the character for peace 安 pronounced “an” shows a woman in a house) had over a million extremely cosmopolitan inhabitants, at a time when probably no European city had a population over 50,000. The area controlled by the empire was one of the largest of any centrally controlled state in world history. The short preceding Sui Dynasty and the Tang Dynasty were 500 to 1,000 years ahead of the rest of the world in engineering and scientific knowledge. 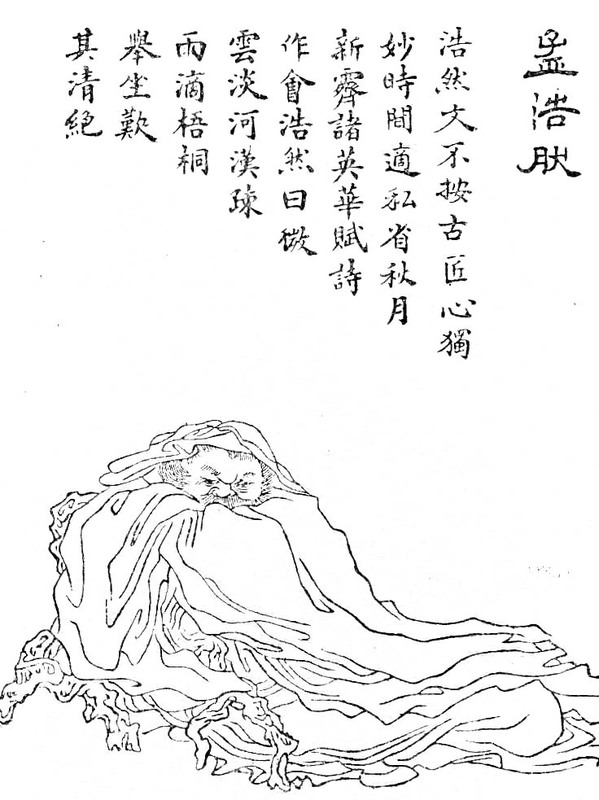 Four movements are based on poems by Li Bai 李白 (701 – 762; often called Li Bo in English): Das Trinklied vom Jammer der Erde, Von der Jugend, Von der Schönheit and Der Trunkene im Frühling. Li Bai is one of the greatest of the many famous Tang Dynasty poets. He collected folk songs and based many of his poems on them or on works of the earlier Han 漢朝 (206 BCE – 220 CE) or Sui 隋 (581-618) Dynasty poets. He gloried in his drunken life style. Almost every literate Chinese person from his time to the present has been able to recite some of his poetry. (The communist leader, Mao Zedong (1893 – 1976) could recite hundreds and used some as models for his own numerous but quite different poems.) 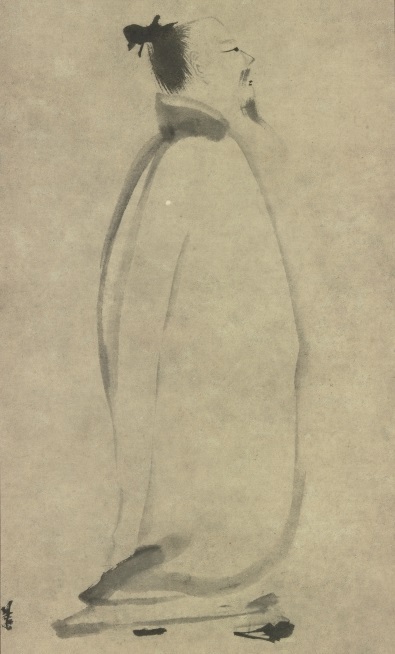 The best known of the many stories about Li Bai is that he died when he fell out of his boat on the Yangtze River (in Chinese Long River, Chang Jiang 長江) while drunk trying to embrace the reflection of the moon. This (probably apocryphal) event is still widely commemorated. China has many scenic places visited for 2,000 years or more and still thronged by tens of thousands of modern Chinese tourists. Li Bai travelled widely and if he wrote a poem when he visited, it is likely to be inscribed on multiple stele, buildings or rock faces at the site. Here is a free English translation of the basis for Der Trunkene I’m Frühling. 胡爲勞其生. I will not spoil it by any labour or care. 頹然臥前楹. lying helpless at the porch in front of my door. 一鳥花間鳴. a lonely bird was singing amid the flowers. 借問此何時, I asked myself, had the day been wet or fine? 春風語流鶯. the Spring wind was telling the mango-bird. 對酒還自傾. and, as wine was there, I filled my own cup. 曲盡已忘情. when my song was over, all my senses had gone. The movement Der Einsame im Herbst is based on a poem by Qian Qi 錢起 (710–782) who was another famous Tang Dynasty poet from Wu 吳 (now-a-days Zhejiang 浙江 (crooked river, old name for the Qiantang River 錢塘江) and Hubei 湖北 (south of the lake) provinces around the fairly new city of Shanghai and the beautiful ancient city of Hangzhou 杭州 with its picturesque West Lake 西湖 much further down the Yangtze. (The European name, Yangtze, of this river comes from a Song Dynasty 宋朝 (960 – 1279) poem by Wen Tianxiang 文天祥 (1236 – 1283). Early Christian missionaries learned this poem about a short stretch of the river near its mouth and mistakenly applied the name to the whole river. This is another illustration of the enduring influence of ancient poetry in China. Since I am also fond of genealogy, I cannot refrain from mentioning that Wen Tianxiang’s traditional genealogy extends over 4,500 years. Bust of Wen Tianxiang in his temple in Beijing. Der Abschied combines poems by Mong Haoran 孟浩然 (690 – 740) and Wang Wei 王維 (699 -759), plus several additional lines by Mahler himself. Wang Wei, is famous not only for his nature poetry but also for music, painting and calligraphy. He was from an ancient aristocratic family and became well known when he moved to Chang-an from his birthplace in Shanxi Province 山西 (mountain west) while still very young. Later in life he became a historically important administrator and finally a Chan Budhist recluse. His official career saw many ups and downs, but he lived most of his life in Chang-an. The most important political event in the Tang Dynasty was the An Lushan rebellion 安史之亂 (An Shi Zhiluan; 755 -763, with connections to political upheavals all over central Asia) when the Tang Emperor Xuanzong 唐玄宗 had to escape to Shu (modern Sichuan 四川, four rivers). During this famously difficult journey, the Emperor’s beloved concubine Yang Guifei 楊貴妃, whose intrigues had helped An Lushan, was executed. This is one of the best known incidents in Chinese history, commemorated in many painting, poems and stories. When An Lushan triumphed, Wang Wei was ill and could not escape Chang-an so he became the most important government official captured by the rebels. They abducted him and tried hard to enlist his aid but he resisted with considerable difficulty, about which there are various stories.